1.75 INCHES THICK: One of the thickest kneeling pad on the market. Its measures are: 19" x 12" x 1.75"
EASILY TO PUT IN PLACE WITHOUT PINCHING OR CUTTING: Their unique shape and materials deliver optimal flexibility and comfort when kneeling, standing or walking. ALSO IDEAL FOR OTHER WORKS LIKE CLEANING, SCRUBBING THE FLOOR, SAILBOAT OR CAR REPAIRING. If you have any questions about this product by Garten, contact us by completing and submitting the form below. If you are looking for a specif part number, please include it with your message. 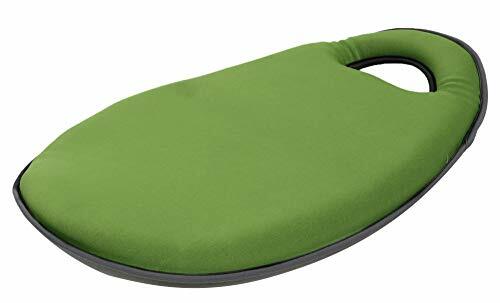 Fancy Buying Garden Kneeler and Seat - Foldable Stool for Ease of Storage - EVA Foam Pad - Sturdy and Lightweight - Bench Comes with A Free Tool Pouch!